b) a glass of wine, a plate of nachos and a superbly mediocre burger. Okay, perhaps I exaggerate a little bit, and I don’t mean to knock my own city. You all know that I eat out a lot in Hong Kong, and that I enjoy a lot of what I eat. In fact, if you care to participate in this debate, I challenge and invite you to comment on this post! Let me know your favorite meals in Hong Kong in the $400 per person range (and that’s including a glass of tipple), restaurants that surprised you the first time you went, and that consistently serve fresh, tasty and (most importantly) thoughtful food. I will one day write a post about this topic, but for now will keep my list to myself. 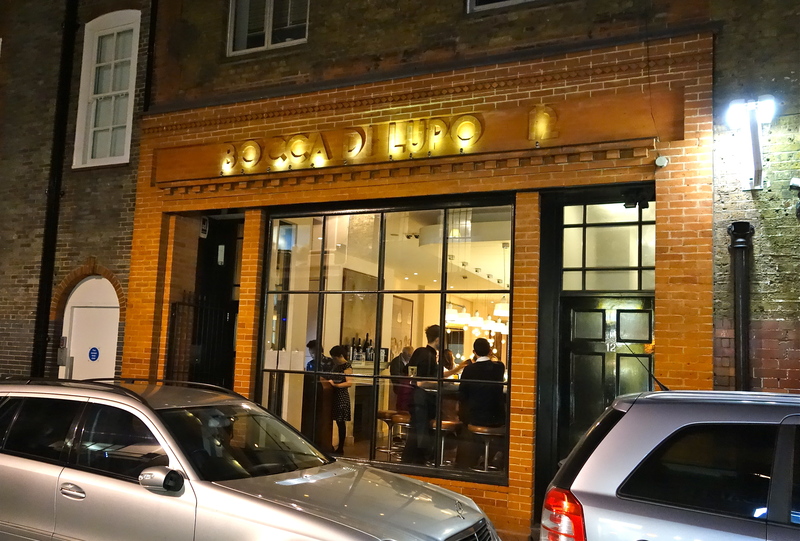 One of my new London favorites is now Bocca di Lupo (i.e. the mouth of the wolf), just a hop, skip and a jump away from Picadilly Station and Leicester Square Station. No need for Scottie to beam you up to Italy, you can just take the London Underground! 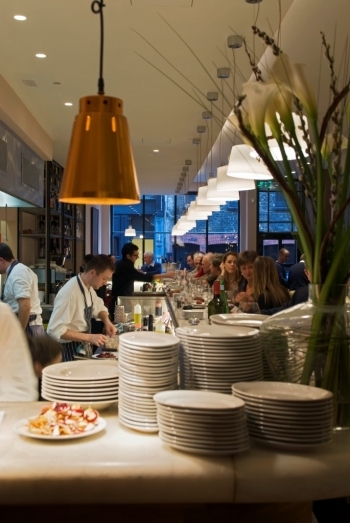 BDL was opened in 2008 by Jacob Kenedy, an academic turned chef who approaches his food in an informed way. 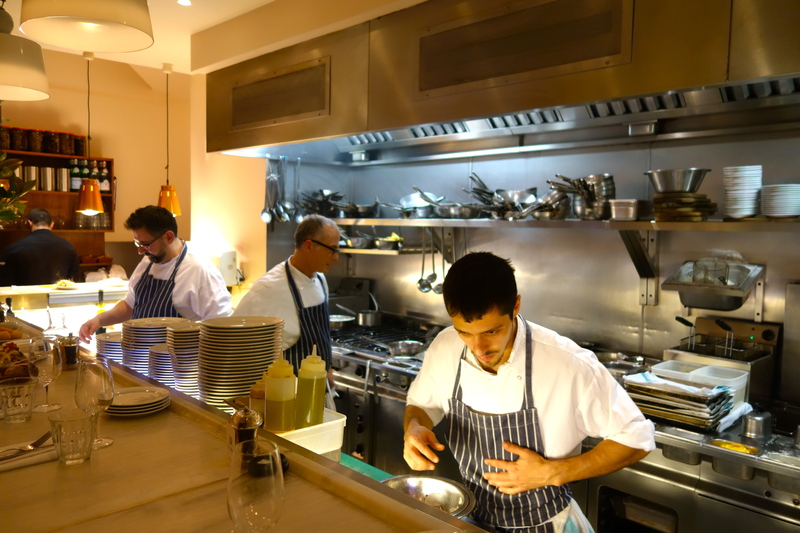 The dishes can be sampled in small and large plates, allowing diners to design their dinner experience. Each item on the menu is classified by the region in Italy that it originates from, and other dishes are creations of the chef. At the time of my visit, their menu featured a B.Y.O TRUFFLES OPTION! Forget “V” for vegetarian, dishes marked with a “T” are recommended as ideal to have with truffles, which you can buy at Gelapo across the street. Genius. All of this technical stuff aside, the food is simple, honest, fresh and so gosh-darn tasty – your appetite becomes like that of the wolf. You want to devour everything. I went to BDL twice during my 2 weeks trip to London, and I am nowhere near satiated. From the Crudi e Salumi section, we ordered a selection of seafood carpaccio. 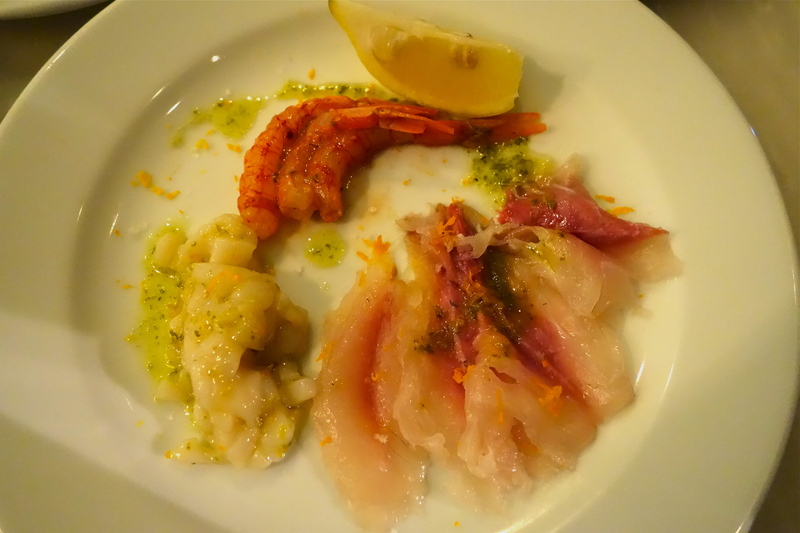 I am a big fan of sashimi sweet prawns, and those Mediterranean red prawns are as sweet as you can find them. 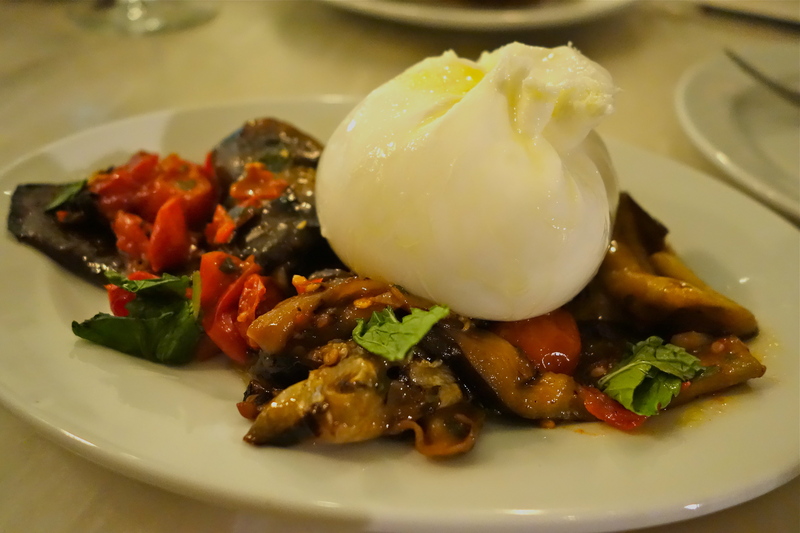 The burrata came next, a creamy ball of goodness, smothered in olive oil and bursting over a bed of grilled vegetables – adding fresh mint instead of basil was an interesting touch. 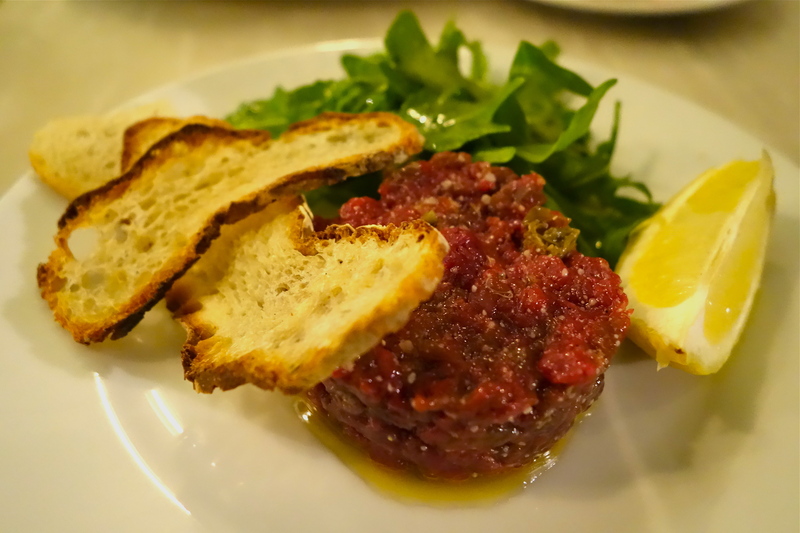 After this came the rose veal tartare, a delicate and flavorful meat that wasn’t seasoned like a normal tartare, and didn’t really need to be. We skipped the Fritti section and went straight onto Paste & Risotti. 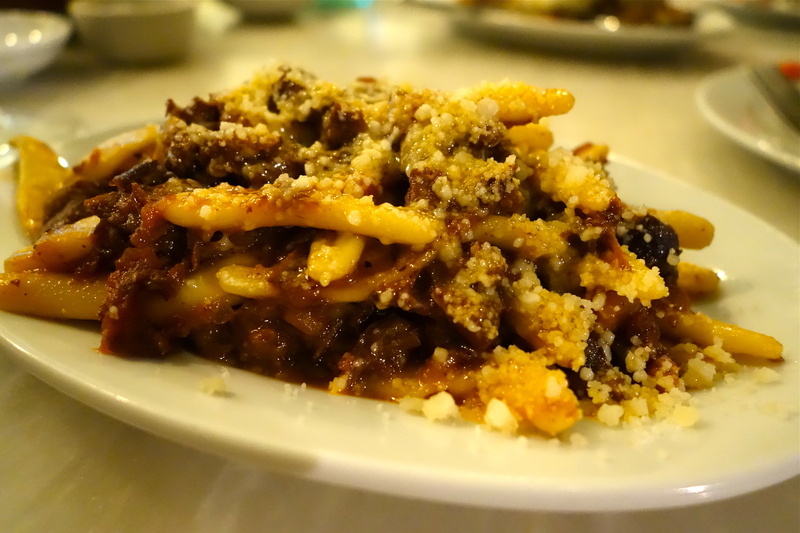 The venison and the wild boar ragús were rich and filling, with clean and crips flavours. By this point in the meal, we were getting pretty stuffed. 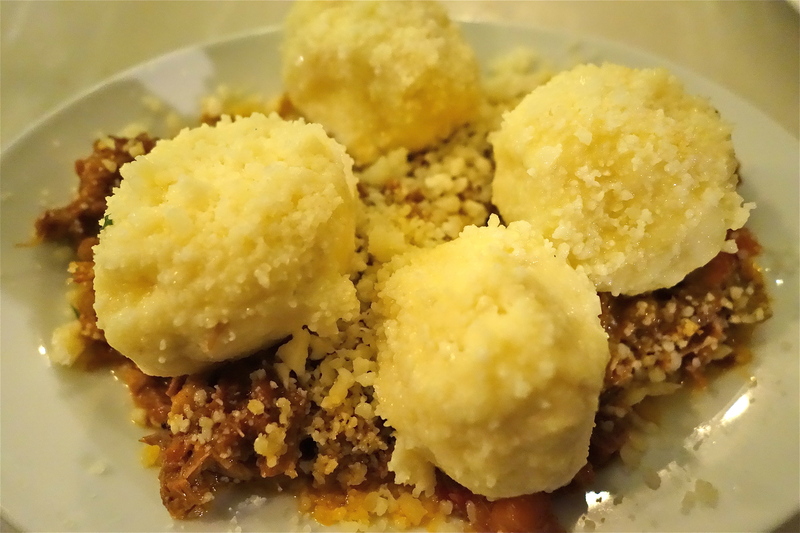 It was the first time I had tried gnudi – (pronounced “nu-dee”), a type of gnocci made with ricotta and flour which that hails from Tuscany. They were light and fluffy, and a great match with the ragú. The star of the show for me, the dish that really blew my mind, was the Lobster Spaghettini! 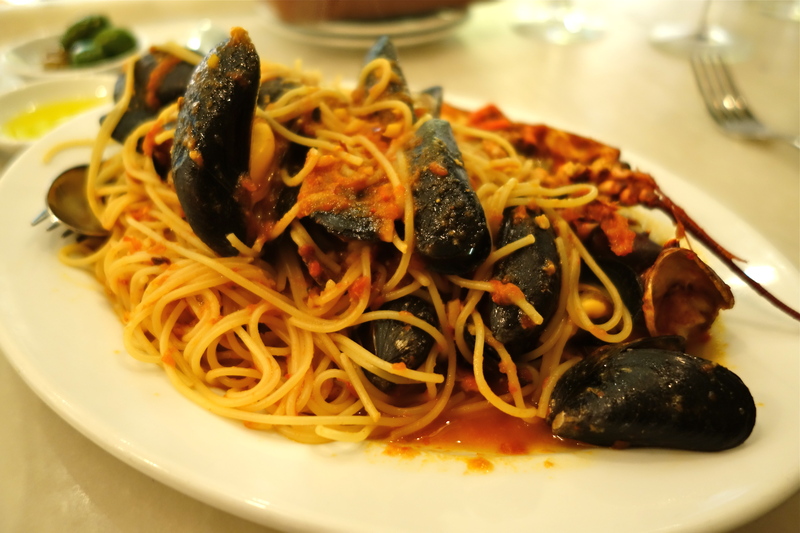 This is the stuff of pasta wet dreams – a succulent Scottish lobster, teeming with roe and cholesterol-y goodness, with a punch of chili, a scent of ginger, and topped with fat mussels. The ginger was really the most interesting addition to this dish – it perfumed the pasta and gave a hint of ginger flavour that was just right. Day 1 is over and I’m doing well so far! Below is a table I’ve made of the foods that I should be eating and shouldn’t be eating, and have stuck it by my work computer and on my fridge at home. I’m finding it fun and helpful to highlight all of the items that I’ve used as ingredients, so I can try to control the amount of each that I’m eating. I also section off my plate into a pie, so to speak, and only have Section 1 Foods covering a small slice of it.